In the past two years, many have protested against the idea of building of a new golf course at Coul Links. Four conservation charities – Scottish Wildlife Trust, RSPB, Buglife and Plantlife – held public meetings in Dornoch earlier this year to highlight the ecological importance of the coastal habitat for wildlife at the Coul Links SSSI. And not all local residents are in favour of the development, which has drawn petitions both for and against. Not Coul campaign group member, John Duhigg, lives in Skelbo and overlooks the proposed site for the golf course. 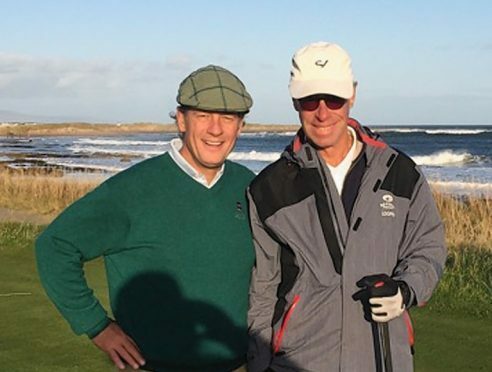 In a letter yesterday to The Press and Journal, he stressed the area does not need another golf course as there are six existing on the 20 miles of coast from Brora to Tain, adding that economic activity in the area is beginning to increase due to other contributors such as the NC 500, hiking and cycling. And Mr Duhigg said the site is one one of the – if not thee – most protected pieces of dune environment in the whole of Scotland, if not Europe and the world. He also queried the economic benefits the development would bring and whether a “part-time, high end American style links development” would draw more people to the area when Royal Dornoch is there already.